Lead by Isobel Smith you will make an effective skeleton structure, add head, hands and feet, before upholstering and dressing your puppet. 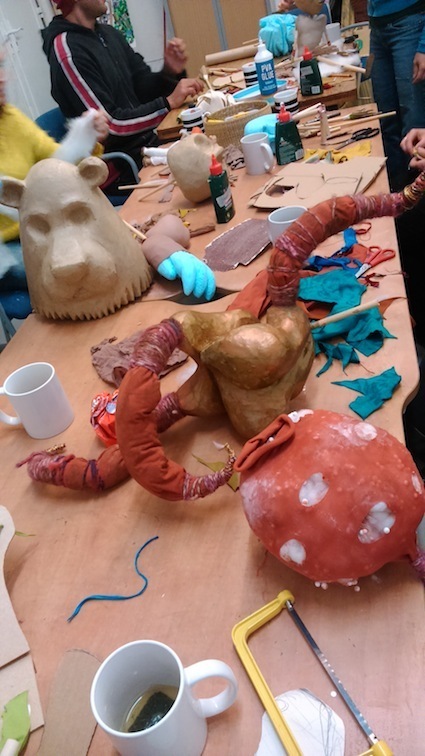 Using cardboard, leather, glue and paint you will draw, sculpt, stick and stitch your puppet into being. None of the processes used require specialist equipment or tools and you will leave the course with puppet making techniques to transfer to your future puppet projects. This course is most suited to people with some experience of puppet making who wish to improve their skills or scale up their making.